We are finally almost completely unpacked from the big move so I wanted to share with you how we sold our home in one week. Imagine our surprise when our realtor told us we had sold our home in one week! Just imagine! The hard work began months earlier! The process of selling a home is all consuming! Because we really wanted to be able to somewhat control the timing of our move, I did tons of research on how to sell a house. I shared this post called The Seller’s Complete Checklist. We took our own advice and got to work with the suggestions on that list and here is what we did. Decluttering and cleaning were the main things we did to help our house ‘show’ well. We did a complete ceiling to floor cleaning process throughout the entire house including windows, doors, and wood framework around windows and doors. Our focus was more on the house itself rather than our furniture and furnishings although we cleaned those too. 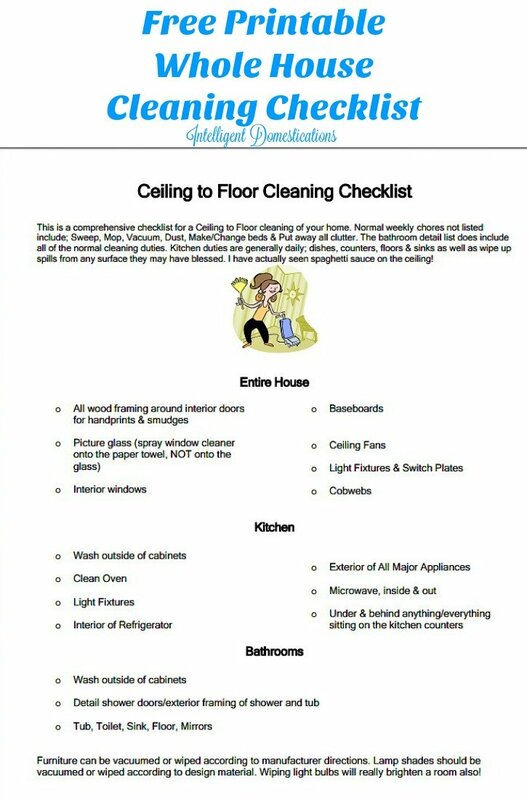 You can grab our free printable cleaning list here. Once the ceiling to floor cleaning was done, I used my Speed Cleaning Tray to keep things clean all the time. Keeping your house clean during the time it is on the market can be exhausting. My Speed Cleaning Tray helped. Yes, we had an offer in the first week but you never know how the pending process is going to turn out so it is best to stay ready. We got rid of excess furniture which made a room seem smaller. A big part of staging your home will be making the rooms seem rather empty. Potential buyers need to be able to envision their own possessions in your rooms. We packed home decor items first leaving only enough to stage each room. We cleared the counters in the kitchen. Do not leave anything but the bare essentials on the counters so your potential buyer can envision their next Thanksgiving meal being prepared right there! We replaced our stove with an updated stainless steel five burner one which was simply fabulous! Our buyer told us at closing that they fell in love with the kitchen which was really nice to hear. Once the inside was done, we focused our attention on the outside. We gave our deck a makeover by painting the furniture for a nice refresh. The deck was stained which made it look almost new again. See our before and after deck makeover here. I even color coordinated the deck decor including our table setting, flowers and flower pots. Minimal amounts of flowers pots also helped to not overcrowd the space allowing potential buyers to envision their own outdoor decor and family gatherings. The Solar Lamp in the center of our table is one of our monthly Thrift Upcycle projects we are still enjoying, you can find all the details here. Curb appeal is a huge factor when selling your home. We focused a lot of attention on curb appeal with our front porch makeover and removal of dead trees. Our biggest project was easily the makeover we gave to our front porch to create curb appeal. It included pressure washing, painting and even replacing the front steps. Again, the plants I selected were color coordinated with my red, white and blue theme. Find all of our porch makeover project details here. Our front steps needed to be replaced and we did that ourselves prior to listing the house. It was kind of a fun to work on that project with my hubby. We saved the old weathered wood from those 17 year old steps. We plan to build an outdoor table with them as a memory of our old home. We cut down eleven, yes ELEVEN dead trees in our front and back yards. It was hurtful to see all of the dead trees once spring arrived but dead trees hurt the curb appeal of a home so we got quotes and hired a good tree company. We listed in the spring which is considered to be the best time of year to sell a home. We waited until we finished all of our projects and were completely ready for people to view our home. Our realtor was recommended to us by a trusted friend. Selecting a realtor can be difficult if you don’t already know someone in the business. Get recommendations from trusted friends and relatives. Narrow down your possible choices to just a couple or a few and then research their track record. That information is available on their website. It will show you how many homes they have sold recently and if they have won awards for selling. How We Sold Our Home In ONE WEEK! To recap, these are the things we did and we know they work! We did all of these things before we listed our home for sale and it is a good thing since our buyer saw it the very first week it was on the market! From start to finish, the entire process of projects took us about three months so I do suggest you plan ahead. The very first person who looked at our home put in a full price offer! That was a shock and a joy. It let us know that our hard work paid off! We are now in the new home wondering if we’ll ever be done unpacking boxes! We party with these blogs! That’s fantastic, Shirley! Do you rent out your services?! I mean, seriously, there are lots of people who would pay you to prep their houses for a sale! Great tips Shirley and congratulations on such a quick sale. Definitely a clutterfree home presents well doesn’t it? Thanks for linking up with us at #overthemoon link party and have a great week! I don’t think I’ve seen the front view of your home as in the last photo here but it is so gorgeous! I love how your home looked so nice and clean and well prepared for selling. Loving the tips you shared and we have used many of them when we sold our home. That always cleaning tip is a must too but it is so hard when you have kids. I remember cleaning one room, moving onto the next only to come back and finding something out of place in the first. Eventually, I gave up but we still kept it clean overall and sold in a week too. I just made a cleaning basket earlier today so that made me smile when I saw yours:) Congrats again on selling fast and it does help to have a good realtor. Thank you Zan. That last picture of the front of the house is actually our new home. I really hope to eventually finish unpacking and be able to do some genuine decorating that I can share. We are trying to get the dining room in shape right now since it will be busy during the Fall. I do have one bathroom almost finished, but it isn’t the master, LOL. It is a process to decorate a home and when we think we might be nearly done, we change our mind and start over! How awesome that the house sold in one week and to the first person who looked at the house! Way to go!! Staging a home for showings can be hard work, but you proved that it paid off in the end. This tips will be so helpful for people who are getting ready to sell. Now I’m looking forward to seeing the new home. Congrats again! Thank you Alli. I hope to get something finished before fall and be able to share some spaces in the new home. We love it here and are enjoying the process except for all that unpacking! Thank you Mary. Oh, we are not finished unpacking yet but there isn’t too terribly much remaining. We have had to make some tough decisions about getting rid of some things because we have realized we own too much ‘stuff’! We were thrilled for the fast sell even though the ‘pending’ process means you have to keep everything perfect just in case. How awesome that you were able to sell it that quickly! It is great that you got so much done to prepare, it definitely paid off. Having a house on the market is so hard! Thank you Carlee. We were so happy for the fast sell! It sure is hard to have your home on the market. You never know when it might show so staying clean and decluttered is a full time job!